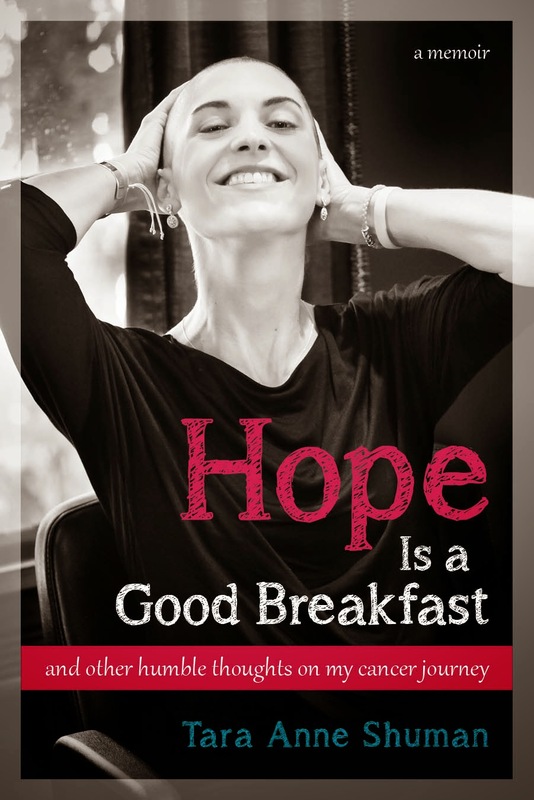 Hope Is a Good Breakfast - The Blog: "Bad Day"
Whenever my Mom used to tell me that she thought little babies were "so boring," I used to think she was kidding. She’d say it in a funny way and I took her smile to be, well, humor. It was only when I became a parent that I realized what was really at the root of that sly little smile -- her internal voice whispering, Don’t worry, she'll see it all for herself one day. That "one day" arrived on my first maternity leave. I saw for myself that being home alone with a baby is not only pretty boring, but it's really hard work, too. No matter how hard I tried, the kitchen always remained a mess, Teddy's poop consistently exploded out of his diaper, and I never had a chance to exercise, make myself a healthy lunch, or even shower. I found much of that time home alone with my firstborn to be isolating, claustrophobic, overwhelming, and gross. When I was fed up with the walls of our condo, I'd go for a drive with my new baby. Until I discovered his habit of projectile vomiting about two miles into the trip. At times, yes, my time alone with baby Teddy was absolutely wonderful, but if I were going to be honest, those times happened maybe just once or twice a day. Looking back, I realize that's not a bad average. With Annabel, everything was different. I was different. I had three years of sleep deprivation practice, comfort with my complete lack of independence, a bigger space to live in, a husband who was a parenting-pro, and a little girl who was happy sleeping or just looking around. Most importantly, I had a three year old to hang out with. Which brings me to what my Mom would always say after her “boring babies” comment. She would always say something like, Once you kids could talk, I loved every minute with you. The physical milestones of babyhood are undoubtedly pretty neat -- the first roll-over, the first walk across the living room. But for me, my kids learning to talk was the best thing of all. It was the very opposite of lonely or claustrophobic or boring. I find it overwhelmingly awesome to hear Teddy tell me about how a knuckleball is really hard to catch and how I shouldn't blame the Red Sox catcher for so many pass balls in the first inning of tonight's game. And it's incredible to hear Annabel tell me (like she did today while holding up her index finger for emphasis), I didn't hab a good nap today because I was missing you when you wah at wuk and Daddy was at school. Perhaps the best thing about the kids being able to talk is that they have no idea how funny they can be. (They also have no idea how frustrating they can be, but I'm trying to be positive here after an hour of frustrated go-the-f*&k-to-sleep negotiations.) Tonight, I want to share a story that seems randomly relevant. I got such a kick out of Teddy's random instinct to like this song that he essentially found all on his own. Sure, he loved Bruce, but that’s because we did. There was something so cool about his first independent music choice. Of course, there was something hilariously ironic about it, too. Last Sunday night, as the one year anniversary of my really bad day approached, I found myself laughing out loud at this irony. That Sunday night, we had just wrapped up a great summer weekend. On Friday night, Teddy got to play wiffle ball with Brian’s former hockey players and his best pal, Liam. He stayed up later than I did and got to watch the Red Sox play a close one. On Saturday, he played catch for hours and then he got to swim at his friend’s birthday party. Sunday was spent on a beautiful lake in Western Massachusetts, where we all jet-skied, kayaked, and swam with my awesome college friends and their adorable little kids. Teddy was spoiled by cookies for lunch, his choice of pizza for dinner (Brian and I wanted Thai but we caved to the boss), and a home-scooped ice-cream cone for dessert. After his shower, TV show, and snack, it was finally time for bed. Brian always sings songs with Teddy after I read him a book. The songs are usually soooo repetitive and so boring that I can barely stand them, and when I tell Teddy that, he thinks I’m hilarious (can’t wait until he’s a dad and realizes I was serious). But even though I exit the room a few minutes early to start to tackle the mess that accumulated that day, I always keep listening to my two most precious guys as they lie together in Teddy's toddler bed. On Sunday night, I listened as Teddy made his first song request. He wanted Brian to sing, “Bad Day,” which was not repetitive at all. In fact, I hadn't heard anyone sing it in months. The song doesn’t translate well to a lullaby, never mind when you have Brian’s tone-deafness, but Super Dad pulled it off. As I unpacked the beach bag of life jackets, goggles, cookies, and sunscreen, I couldn’t help but think how totally hilarious it was that Teddy wanted Brian to sing about a bad day. That's why I love kids. Because writing about a bad day doesn't just evoke memories and pain from August 8, 2012. It also makes me laugh out loud at Teddy's totally random and ironic choice of music.